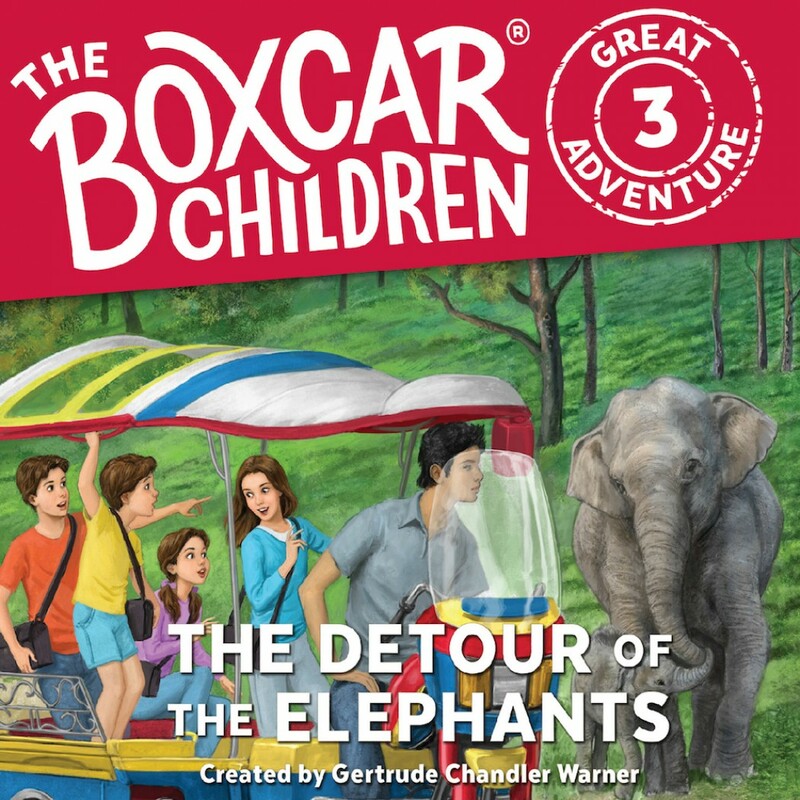 The Detour of the Elephants | Gertrude Chandler Warner, Dee Garretson & JM Lee | Audiobook Download - Christian audiobooks. Try us free. Henry, Jessie, Violet, and Benny chart a course for China to return the Reddimus Society's fourth artifact! Along the way, they meet old friends and make new ones, but a thief threatens to ruin their trip. Then, after an unexpected stop in Thailand, they meet a suspicious man claiming to work for the Reddimus Society. The Aldens wonder if someone close to them is working for the other side. Who can the Boxcar Children trust to help them?